A preview of one interactive experience showcases the Northern Lights found over Greenland. The asset was created in ThinkLink, an image and video editing platform. First, Discovery Education Streaming Plus plans to launch a series of annotated experiences with ThingLink, “created by layers of 2D images, video and 360-degree images," according to information from the company. The annual subscription-based service gives school districts access to a variety of learning resources: instructional videos, multimedia activities, articles, writing prompts and other types of content. More than 17 new experiences are scheduled to roll out to Streaming Plus over the coming months, along with more than 100 new titles from BBC Active, a resource hub of from the BBC and education company Pearson. In addition, the company added eight new titles to the Discovery Education Science Techbook to further support phenomenon-based learning. “Through the ‘Natural Phenomena’ series from Maslowski Wildlife Productions, now available in Discovery Education Streaming Plus and the Discovery Education Science Techbook, educators can now bring Earth’s extraordinary geologic features, weather events and biodiversity to life for all students,” according to a company statement. 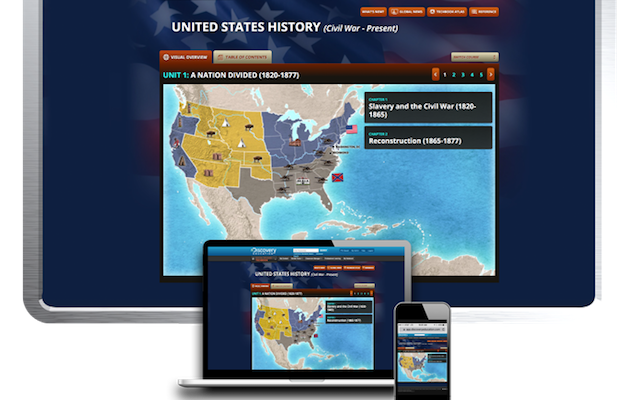 Meanwhile, the Social Studies Techbook added dozens of easy-to-read infographics and more than 75 new video titles. To learn more about these titles and other new offerings, read the Discovery Education announcement.